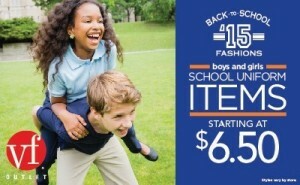 Get ready to save money over Memorial weekend with the following Premium Outlet coupons! 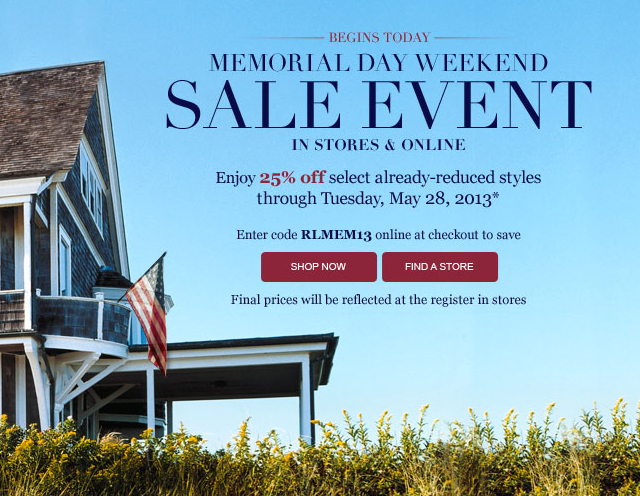 Save an additional 25% off your entire purchase at Polo Ralph Lauren with code RLMEM13 (5/21 thru 5/28). You can use that code online or show the cashier the code via your SmartPhone at checkout. 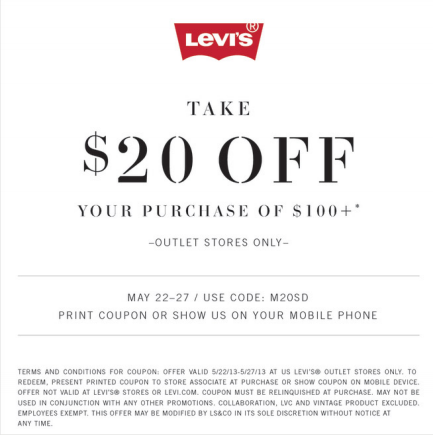 Also, the Levi’s outlet has an offer to take $20 off any $100 purchase (code M20SD). This particular coupon is valid 5/22 – 5/27. 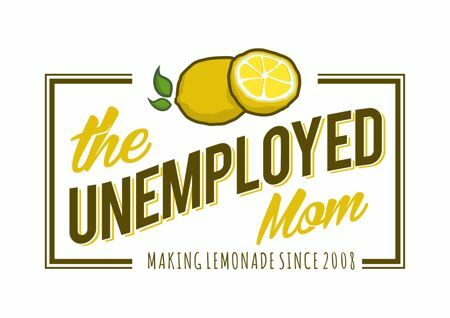 You can either print the offer here or show the code to the cashier via your SmartPhone.